We would love to hear from you! Phone, Email, or stop in. We are here to help you in any way we can. 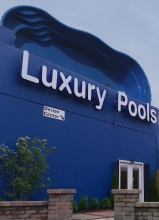 We regularly travel to install fiberglass pools. Odds are we have put one in near you.